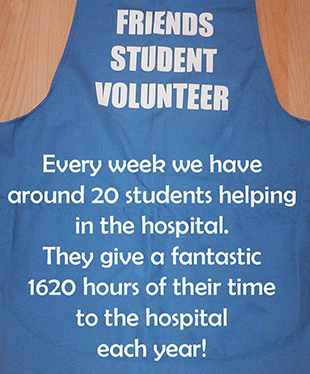 Students play a valuable role in the hospital. They work on the wards for one afternoon per week either 2.30pm-4pm or mornings 9.30-11.30am, serving teas and coffees to patients, and providing a listening ear. They are not involved with any of the medical care, but will provide a really valuable, sympathetic service to patients and staff. This is a great way to improve communication and listening skills. It is also a valuable addition to a C.V, and gives real experience to those considering a career in the medical profession. There is often a waiting list for students and clearance takes a minimum of three weeks. Unfortunately, due to insurance we are unable to take on volunteers under 16 years old. 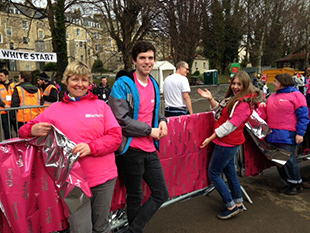 As we provide training support and DBS clearance we can only take on students and volunteers who can commit to a minimum of 6 months volunteering for a minimum of once a week for 2 hours.